AirPlay Direct, a leader in digital distribution of content to radio and music programmers and supervisors around the globe, is pleased to announce their member benefit partnership with American Society of Composers, Authors and Publishers (ASCAP). Through this partnership, ASCAP members will be given the opportunity to expose their music worldwide with AirPlay Direct's services at a 50% discount. With an AirPlay Direct membership, ASCAP's members and affiliates can directly connect and securely send broadcast quality music and digital press kits to its worldwide community of top radio programmers and music supervisors. "We are thrilled to partner with ASCAP as we embark on another successful year at AirPlay Direct," says Robert Weingartz, Chairman and CEO of AirPlay Direct. "ASCAP's members will now be able to easily track download activity and build ongoing relationships with music professionals, which is vital in this industry." "ASCAP collects performance royalties for its members, but we are also committed to nurturing their careers by building a suite of exclusive benefits that offer the best tools and services music creators need to thrive," said Randy Grimmett, Executive Vice President of Membership at ASCAP. "ASCAP members have long valued the Member Benefit program and we are pleased to now have a partner that will affordably and effectively allow members to get their music out to the industry." ASCAP members can find additional information at: www.AirPlayDirect.com/ascap. AirPlay Direct is a global digital music delivery system servicing radio and the entertainment industry with downloadable content from some of the biggest names in music, alongside rising independent artists. AirPlay Direct's web-based artist marketing, promotion, education and advocacy platform allows artists, record labels and music publishers to securely deliver broadcast-quality music and digital press kits to industry professionals worldwide. Our system allows media programmers and film/TV music supervisors to connect to new music, create music calls, browse top downloaded artists and immediately download music and related artist information. AirPlay Direct recently introduced our genre-based APD Global Radio Indicator charts which track the download activity that our member's music receives from our world-wide radio panel. AirPlay Direct also publishes the digital/interactive publication, the Direct Buzz. 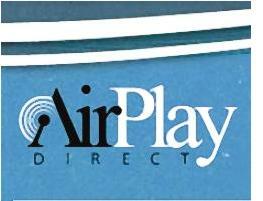 For more information about AirPlay Direct, visit www.AirPlayDirect.com. The American Society of Composers, Authors and Publishers (ASCAP) is a membership association of more than 425,000 U.S. composers, songwriters, lyricists, and music publishers of every kind of music. Through agreements with affiliated international societies, ASCAP also represents hundreds of thousands of music creators worldwide. ASCAP is the only U.S. performing rights organization created and controlled by composers, songwriters and music publishers, with a Board of Directors elected by and from the membership. For more information about ASCAP, visit www.ASCAP.com.